Worried about how to counter those pesky Darth Traya teams that are showing up? Reality Skewed Gamers is here to help! Using some of the more common characters in the collections of most people, we will show you strategies that can help you beat the opposing meta teams. 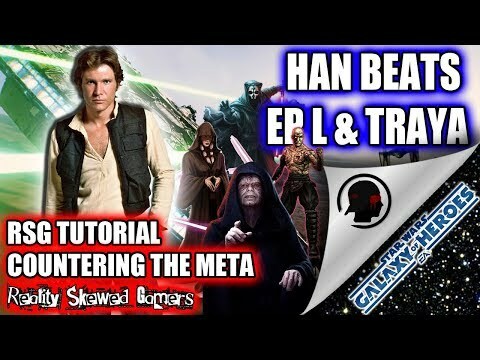 This episodes shows how a simple Commander Luke Skywalker lead team with Thrawn, Nihilus, Rex and Han Solo can beat a fully zetaed Emperor Palpatine lead team with Darth Traya, Darth Sion, Darth Nihilus and Thrawn. We hope you enjoy this video and please leave us comments! Impressive ! Impressive... 931 speed though that is crazy!